Create multi-use widget ads (something for you and something for them) and they will allow you to capture data beyond an initial campaign. For example, the ibubble widget allows a person to share and decorate photos, it’s a useful application that can be downloaded to a computer to be used whenever people want. Regardless if people ever take the desire action on your campaign or not, you’ll have a direct link back to them for future follow up. As people use their widget to take, upload, tag and email more photos, your charity will be learning more about the user of the widget . . . their interests, where they vacation, their names, family members, etc. As people tag their photos with descriptions, they are essentially adding to their own profile being captured in a database. The data then can be used to begin and/or round out a psychographic profile of your constituents who use the widget. 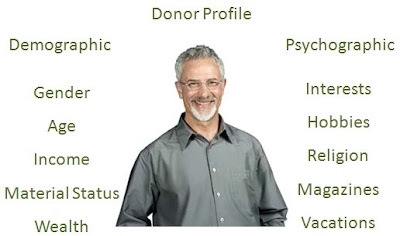 It is important for your charity to thoroughly understand the demographic and psychographic profile for each key segment of your constituent base. Once you've introduced such a widget to your constituents, you'll be able to mine data for future marketing efforts. For example, you may discover that 75% of your constituents have tagged photos with "Fishing Trips," you can use this information to attract potential new corporate sponsors to either unwrite a specific effort and/or to place banner advertisements on your charity's Web site. You may be thinking that your charity would never allow for-profit companies to advertise on your Web site but let me encourage you not to discount the idea so quickly. In the past with offline communication, charities would not consider such an arrangement with a for-profit company because it would put their nonprofit status in jeopardy. However, online is a different medium entirely and there is no third-class stamp to be garnered through the exclusion of for-profit messaging. Therefore, decide on good corporate partners that make sense for your charity and go after them aggressively with more than your hand out but rather with quantified marketing opportunities that will move their product lines and create good will. As you craft Cause-related Marketing proposals to potential for-profit companies, try to agree on a promotion that can be found no place else other than your charity's Web site. 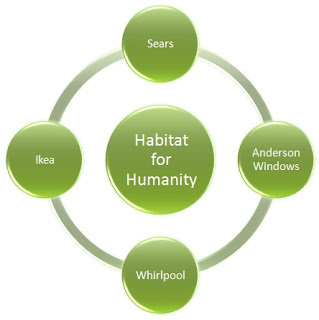 For example, if Whirlpool was a corporate sponsor to Habitat for Humanity, they could place banner ads on Habitat's Web site offering the Habitat Washer and Dryer set. Perhaps a portion of each sale could go to Habitat or the set could be discounted for Habitat's constituents. This is an entirely new untapped revenue stream for charities, that if not for the Internet, would not be possible.